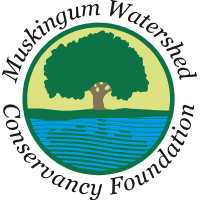 The Muskingum Watershed Conservancy Foundation is a 501(c)3 nonprofit charitable organization dedicated to supporting the mission of the Muskingum Watershed Conservancy District (MWCD) by providing financial resources that enhance facilities, programs, and conservation efforts on or adjacent to District lands and waters. The Foundation was created not only to support and enhance MWCD lakes and parks, but also to help donors meet their charitable goals. If you are in need of assistance in developing a charitable contribution plan, we invite you to browse our website and contact Nick Lautzenheiser at (330) 556-4831, toll-free at (877) 363-8500 ext. 2506, or by email.